Save Money with Best Buy! ​Who doesn't like saving money? We recently attended the BlogHer 2016 Conference in Los Angeles, California and learned many ways that we could save money with Best Buy! 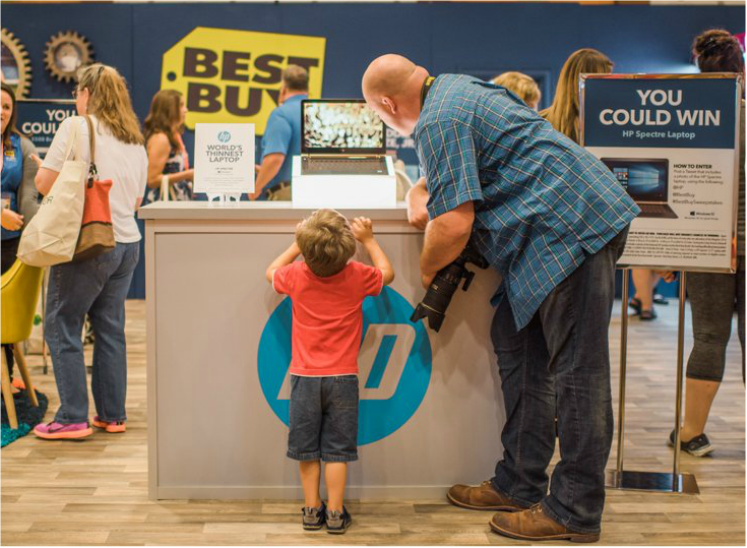 Besides having competitive prices and a huge selection of products, Best Buy now offers its customers a way to learn about the latest in mobile devices and save money on these devices with the Best Buy Mobile Plan and Compare Tool. Approximately 50% of people overpay on their cell phone bill and Best Buy has a created a way to help alleviate that issue. With the Best Buy Mobile Plan and Compare Tool customers can choose up to four phones to compare pricing and features. The tool is a great help when trying to balance saving money and finding the right phone for you. The tool also features specifications on Warranty Terms, Operating Systems, Screen Sizes, Ratings, Availability and Current Offers. After we learned about the tool that could save us money, we learned about the latest and greatest from Samsung! The Samsung Note 7 recently launched and Best Buy showed us all the cool features of the new Android phone! The Samsung Note 7 is 6.04 inches in height and 2.9 inches wide which makes this phone comparable to other popular Smartphones on the market like the iPhone 6. The best features of this new phone include water resistance with a rating of IP68, the new S pen that can translate text, an incredible camera that takes excellent pictures with or without light and the ability to add additional storage space with a MicroSD card. Our favorite and most unique feature of the phone is the ability to unlock the phone with your eyes! The phone features an iris scanner which makes the phone extra secure so you don't have to worry about any unauthorized entry. With the Best Buy Mobile Plan and Compare Tool which is featured in Best Buy locations nationwide and the exciting new features of the Samsung Note 7, we are all set in making an informed buying decision!